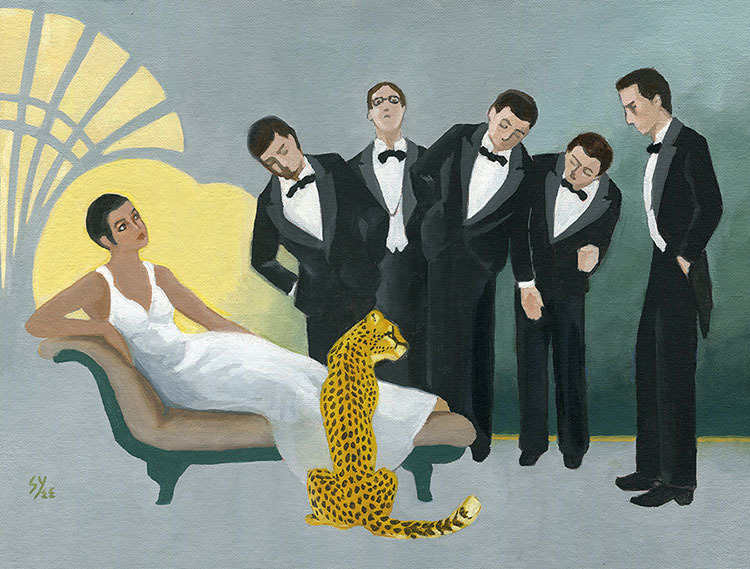 Imagined scene of Josephine Baker with her pet cheetah. Josephine Baker was the toast of Paris during the 1920s and '30s, and had a collection of exotic pets, including a pet cheetah. I imagine some of her admirers would rather not have had to deal with the cheetah.